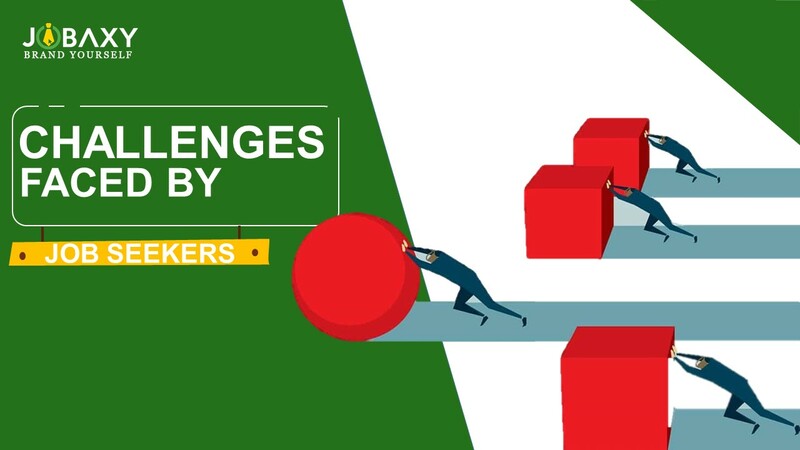 Challenges Faced by Job Seekers | Jobaxy - Brand Yourself! ‘Congratulations! You are Hired! this is what every job seeker longs to listen. But in today’s extremely competitive market, finding a dream job is a challenging task. Job search in itself is a full-time commitment and can be daunting at times. For fresh graduates who have never done it before it can be particularly challenging. Job seekers need to find the right position that matches best with their skills, qualification and their payment expectations. Job seekers may not know how to look, where to look or what to look for the dream job. Here are few challenges related to job search. Today there are many places where job seekers can search for vacancies both online and offline. Job seekers need to look at job fairs, search for recruitment hubs of different companies and travel to various places with sometimes no results. With so many options to search for the job, seekers may sometimes get confused, resulting in wasting their energy in the wrong place. You need to be very clear about what you want or what you are looking for to bag that perfect dream job of yours. Instead of just applying for any job that comes across, you need to plan and strategize your approach. Give it a deep thought and choose a domain that matches best with your qualification and skill set, where you are confident of giving 100%. Apply for jobs only in your chosen field and minimize your probability of rejection. With thousands of job seekers, getting noticed is again a very crucial aspect of job search. You need to be saleable and should be able to sell yourself, brand yourself as an outstanding product compared to others. Yes, marketing yourself is the best tool for landing the dream job. Let the employer know about your expertise and your dedication. You need to have a strong resume that highlights your skills matching with what the company is looking. The world today is fast moving and extremely competitive. You need to catch with the pace to land in your dream job. Keep updating your skills and knowledge to make sure you do not fall out of the competition. Don’t let these challenges ruin your spirit for job search. Register with Jobaxy and just relax, let employers hunt for you. With the new age audio-video resumes, Jobaxy follows a unique hiring technique and help you grab the dream job in no time. All the Best for the job search! Register with Jobaxy and grab the dream job.